Lighthouse Photography Dream Weddings was founded in the early 2000s by Florio Tilinca and his wife Monica. 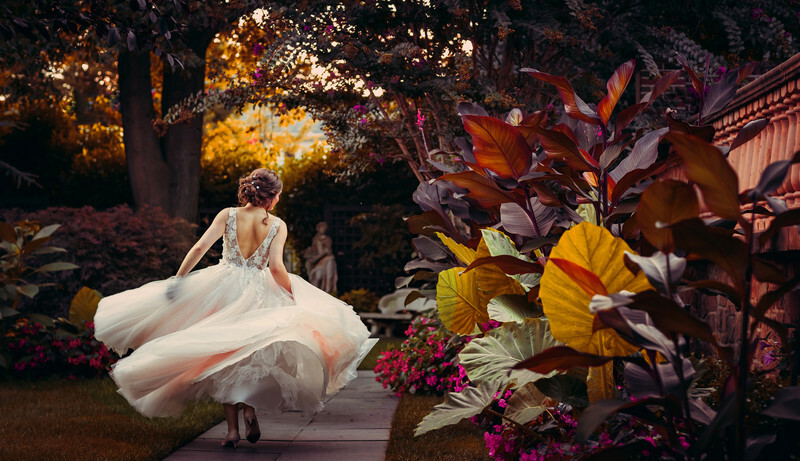 Their passion for the visual arts and their dedication to high quality imagery has helped propel the company as one of the most reputable wedding photography studios on Nassau County Long Island. Florio’s passion for upscale photography began in his childhood, where he was surrounded by gorgeous European architecture, art and literature. He was born in Bucharest and raised in Transylvania, Romania, where he met his wife Monica. Together, they started to passionately capture beauty and love at gorgeous venues. They established that Florio was to closely observe all of the companies wedding sessions, meanwhile Monica was to focus on the post production process of the company. Lighthouse Photography Dream Weddings is located in the historical village of Port Jefferson. Since its founding, the company has added several amazing photographers to the team, every single one has been personally trained and endorsed by Florio and Monica. The staff is consistently researching the newest and most stunning wedding albums available on the market. The company strives to deliver unique albums tailored for each couple through the editors creative use of color and texture. Currently, Lighthouse Photography Dream Weddings offers various album options from sleek flush mount albums to true rustic organic albums and soft cover magazines. The company prides itself on the endless options that couples may choose from for their albums. In shorter terms, our philosophy is that each couple is unique, each wedding is different, and thus each album should be as well. Lighthouse Photography's portfolio includes celebrities such as Samantha Gutterman, (the most awarded Broadway Producer's daughter) and John & Maria Santucci (John is one of the co-producers of the beloved show ”Good Morning America “ and ABC producer on politics at the White House). However, the portfolio is not simply filled with upscale celebrity weddings. It also incorporates the wonderful whimsical backyard weddings, and everything in between. Lighthouse Photography team is endlessly inspired by our amazing Brides and Grooms and their love stories. Nassau County /ˈnæsɔː/ is a suburban county comprising much of the western half of Long Island in the U.S. state of New York. At the 2010 census, the county's population was 1,339,532, estimated to have increased to 1,361,500 in 2016. The county seat is in the Village of Garden City within the boundaries of the Mineola 11501 zip code. Nassau County is directly east of New York City limits and therefore also within the New York metropolitan area. The county is one of the four counties that occupy Long Island, together with Suffolk County to its immediate east and Queens and Kings counties to the west, which correspond, respectively, to the New York City boroughs of Queens and Brooklyn. Two cities, three towns, 64 incorporated villages, and more than 60 unincorporated hamlets are located within the county. There are 56 public school districts within the county. Post office districts and school districts use the same names as a city, hamlet, or village within them, but each sets the boundaries independently. In 2012, Forbes magazine, in an article based on the U.S. Census Bureau's American Community Survey, reported Nassau County was one of the highest income counties in the United States and the most affluent in the state of New York, comprising four of the nation's top ten towns by median income. It also ranks as the most expensive county in America.Nassau County has a designated police department,fire commission, and elected executive and legislative bodies. Nassau County high school students, as do students from nearby Westchester County, often feature prominently as winners of the Intel International Science and Engineering Fair and similar STEM-based academic endeavors. Several alternate names had been considered for the county, including "Bryant", "Matinecock" (a village within the county currently has that name), "Norfolk" (presumably because of the proximity to Suffolk County), and "Sagamore".However, "Nassau" had the historical advantage of having at one time been the name of Long Island itself,and was the name most mentioned after the new county was proposed in 1875. The Long Island Rail Road reached as far east as Hicksville in 1837, but did not proceed to Farmingdale until 1841 due to the Panic of 1837. The 1850 census was the first in which the population of the three western towns (Flushing, Jamaica, and Newtown) exceeded that of the three eastern towns that are now part of Nassau County. Concerns were raised about the condition of the old courthouse and the inconvenience of travel and accommodations, with the three eastern and three western towns divided on the location for the construction of a new one.Around 1874, the seat of county government was moved to Long Island City from Mineola. As early as 1875, representatives of the three eastern towns began advocating the separation of the three eastern towns from Queens, with some proposals also including the towns of Huntington and Babylon (in Suffolk County). Nassau County, with its extensive flat land, was the site of many aviation firsts. Military aviators for both World Wars were trained on the Hempstead Plains at installations such as Mitchel Air Force Base, and a number of successful aircraft companies were established. Charles Lindberg took off for Paris from Roosevelt Field in 1927, completing the first non-stop trans-Atlantic flight from the United States. Grumman (which in 1986 employed 23,000 people on Long Island built many planes for World War II, and later contributed the Apollo Lunar Module to the Space program. In 1994, Federal Judge Arthur Spatt declared the Nassau County Board of Supervisors unconstitutional and directed that a 19-member legislature be formed. Republicans won 13 seats[clarification needed] in the election and chose Bruce Blakeman as the first Presiding Officer (Speaker).Among the first class of Legislators were Peter J. Schmitt (R-Massapequa), Judith Jacobs (D-Woodbury), John Ciotti (R-North Valley Stream), Dennis Dunne Sr. (R-Levittown), Francis X. Becker (R-Lynbrook), Vincent T. Muscarella (R-West Hempstead), Ed Mangano (R-Bethpage), Michael Fiechter (C-North Bellmore), Roger Corbin (D-Westbury), Salvatore Pontillo (R-Farmingdale), Bruce Nyman (D-Long Beach), Edward Ward (R-Wantagh), Darlene Harris (R-Uniondale), Ed Oppenheimer (D-Rockville Centre), John Canning (R-Sea Cliff), Bruce Blakeman (R-Woodmere), Lisanne Altmann (D-Great Neck), Richard Nicolello (R-New Hyde Park), Barbara Johnson (D-Port Washington). According to a Forbes magazine 2012 survey, residents of Nassau County have the 12th highest median household annual income in the country and the highest in the state.In the 1990s, however, Nassau County experienced substantial budget problems, forcing the county to near bankruptcy. Thus, the county government increased taxes to prevent a takeover by the state of New York, leading to the county having high property taxes. Nevertheless, on January 27, 2011, a New York State oversight board seized control of Nassau County’s finances, saying the wealthy and heavily taxed county had failed to balance its $2.6 billion budgets.